Well before law enforcement has settled on a motive for Sunday’s mass shooting at a gay nightclub in Orlando, the political debate started pitting “radical Islamic terrorism” against “gun control.” With 49 people killed and 53 injured, this was the deadliest event mass shooting in American history. Lawmakers and candidates largely filed among their political party ranks, with Democrats arguing that the shooting highlighted a need for increased gun control and Republicans calling for greater border security. Like other Republican and conservative leaders, Mr. Trump avoided calling the incident a hate crime aimed at the gay community, and did not express solidarity with that community. For some the omission of sexual orientation was blatant. Neither Arizona Sen. John McCain nor Senate Majority Leader Mitch McConnell mentioned the gay community in their statements. 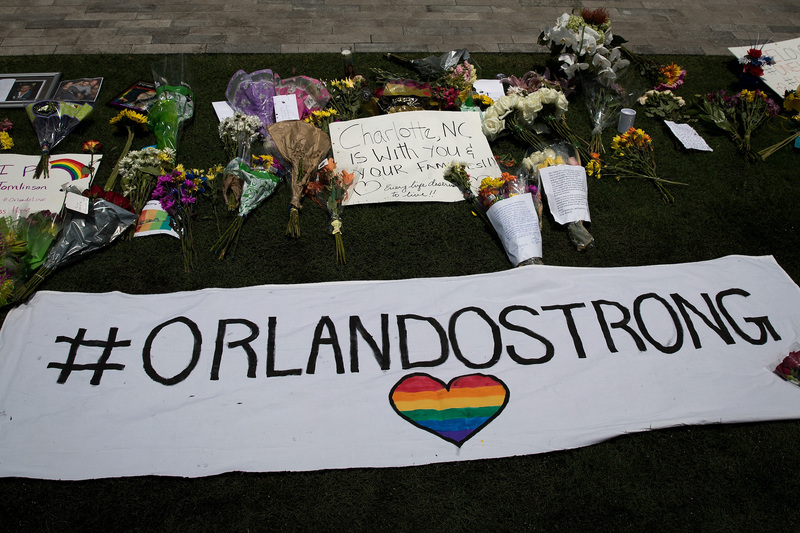 Other Republicans, such as Senators Ted Cruz and Marco Rubio, mentioned that the attack was aimed at gay victims, but agreed that the underlying issue was radical Islamic ideologies. Florida Senator Marco Rubio chose his words carefully when he he told CNN, “He targeted the gay community because of the views that exist in the radical Islamic community about the gay community.” He did not mention the LGBT community in his official statement. For Democrats, there were immediate expressions of solidarity with the gay community and a specific emphasis on the nation’s gun policy. In his speech Sunday, President Obama acknowledged the shooter’s link to terrorism but highlighted that the shooter had carried out the massacre with help of a handgun and assault rifle. “Islamic terror” or “hate crime”, gun control or extremism, this incident highlights once again that words aren’t just words, says Deborah Tannen a professor of linguistics at Georgetown University. And of course, a lot of it comes down to politics. “[The rhetoric] stands to reason with regard to which party is appealing to the their constituency… And then the idea of Islamic terrorism is in keeping with Trump and all of his fear mongering,” said Tannen.